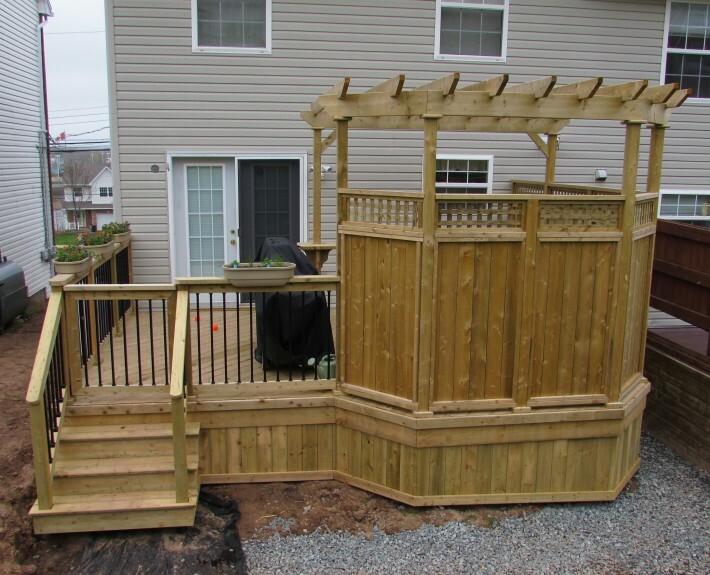 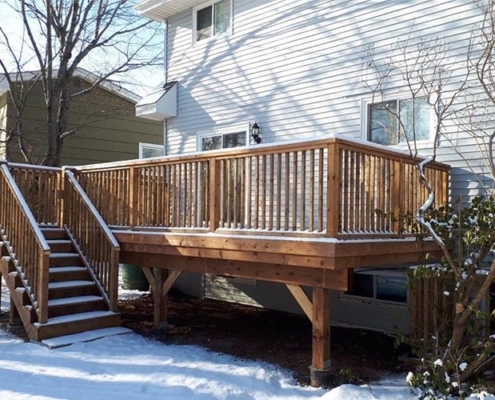 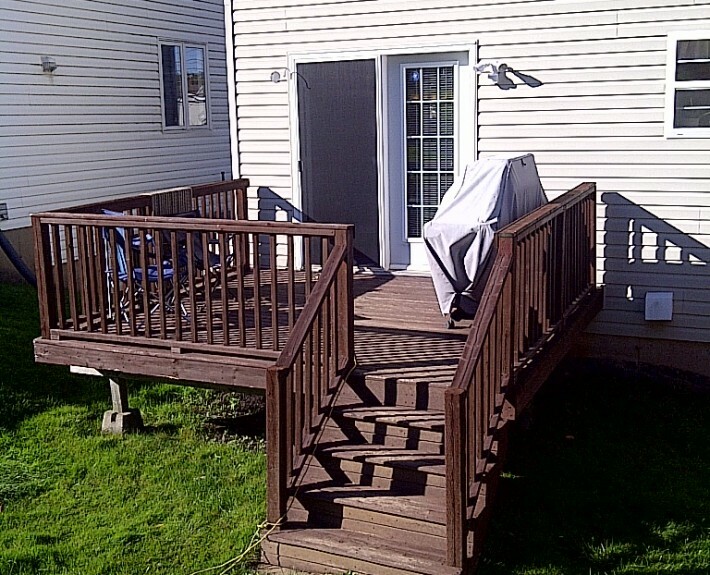 Here we wanted to make the most of the small back yard and this dated deck had to go. 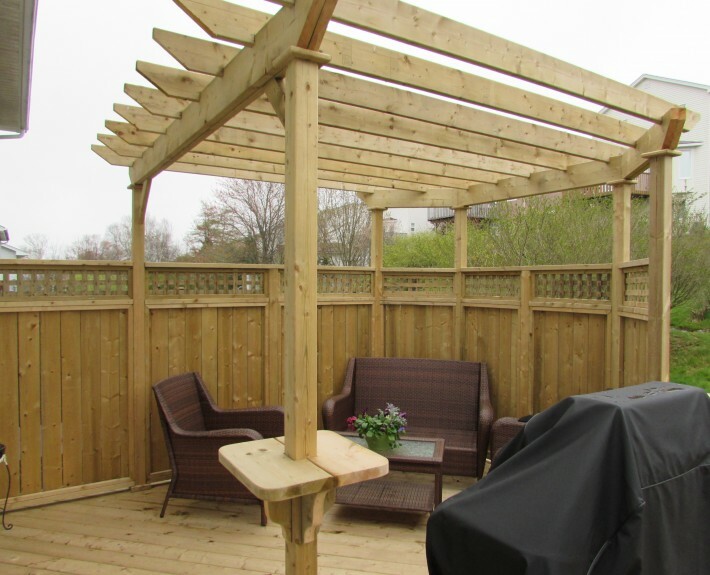 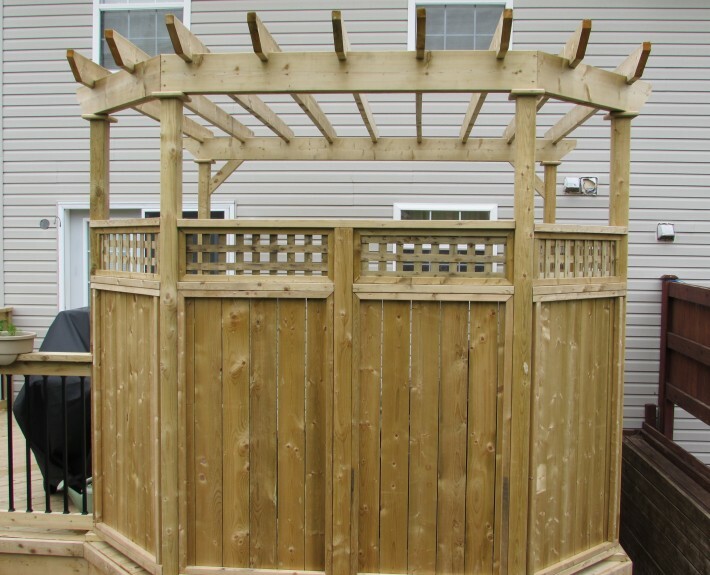 We accomplished the clients’ vision with a beautiful pressure treated deck incorporating a pergola overhead and solid board skirting below. 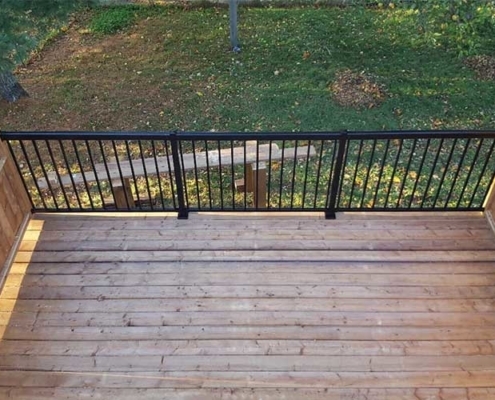 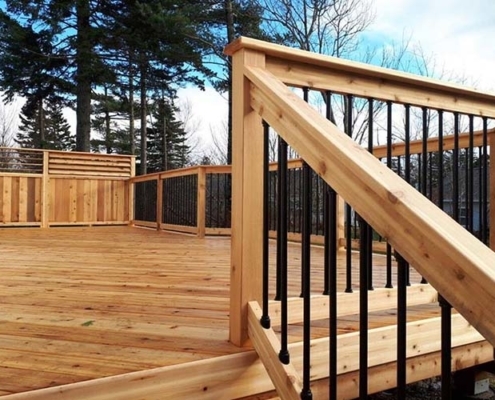 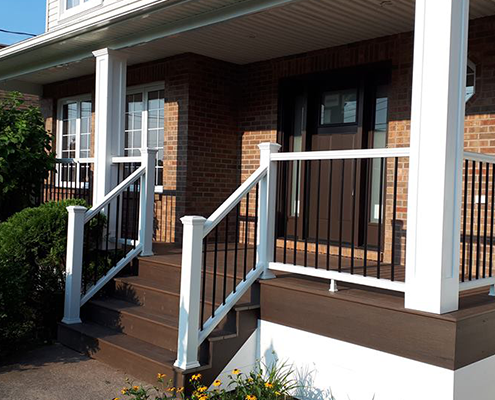 Black aluminum Deckorator balusters with a privacy rail off to one side completed this outdoor living space ready for relaxing or entertaining.